Is Al Gore the Latter Day Pardoner? | Watts Up With That? Carbon Credits Are Modern Indulgences. Geoffrey Chaucer (c.1342 – 1400) is among the giants of English literature, recognized for his perceptive and realistic stories about human nature. Like Shakespeare, his characters and stories are recognizable and relevant at any time in history and in any society. His most famous work, The Canterbury Tales, has a number of characters traveling on a pilgrimage and telling their story. He achieves what Paul Johnson described as, “ a lethal combination of satire, irony, and sarcasm.” Characters are recognizable even if their position, such as knights, no longer exist. We are unfamiliar with the name Pardoner, but know the character. Johnson describes him as follows, “The Pardoner, a seller of indulgences, is a complete and shameless rogue; but Chaucer, not content with exposing his impudence, shows how good he was at his job and how powerfully he preached against sinfulness. The Pardoner had also been taught to use the figure of death to scare his hearers.” So the Pardoner sold indulgences or pardons, hence his name, that absolved your sinful lifestyle and guaranteed going to Heaven. Who could resist a no lose offer? It’s important to understand why Medieval and modern minds are gullible to such scams. Medieval people lived in fear of not being able to go to Heaven. Two examples help explain the intensity of that belief. The power of the fear of excommunication was effective even against Kings like Henry VIII. If excommunicated you were denied all church sacraments and services without which you couldn’t go to Heaven. Another example was even more egregious and involved witches. One of the most evil documents in history was the Malleus Maleficarum. Getting to heaven was the goal of being religious, anything that made it easier was an easy sell. Environmentalism became the new religion in the 1960s, although the seeds were effectively planted when Darwinism replaced Creationism. Life became dependent on Gaia the planet, not God. This belief system claims humans are killing the planet with CO2. David Graber, a research biologist with the National Park Service delineates the overall thesis. These are the larger sins we have to pay for that became focused in the false science of CO2. Pardon or absolution came as carbon credits. Ignore the fact that purveyors deliberately mix carbon (a solid) with CO2 (a gas) and reduce carbon to stop sinning. Better still but buy carbon credits and you can sin without conscience. Ignore the fact it doesn’t reduce but will actually increase the amount of CO2 going into the atmosphere. Indulgences and carbon credits were available to everyone, but in reality only the rich could afford to sin and buy their way into heaven or drive a powerful car without guilt. If we just had the Pardoner and the tale he told to entertain his fellow pilgrims it would be interesting, but would not expose the true meaning of his tale and the duplicity and hypocrisy of the character. We need a person of our time for better comparison and understanding of Chaucer’s genius. People despise hypocrisy in any aspect of life, but especially in religious and political leaders. Chaucer cleverly provides us with a prologue in which the Pardoner, as if talking off the record, explains his activities and motives and exposes his hypocrisy. We see behind the facade and learn of his cynical view of human nature and how he exploits their weaknesses and fears for his financial gain. It makes it more unscrupulous knowing he knew what he was doing. I’ve got it all by heart, detail I tell. From bygone times, old stories from the past. The analogy between Indulgences and Carbon Credits is very good, but especially as both create a source of income for those who identify and define the problem, exploit the guilt, and offer a solution. They also do nothing to ameliorate the supposed problems, the amount of sinning or the amount of CO2 going into the atmosphere from human sources. In fact, they almost guarantee an increase in both cases. The analogy fails because sin exists, whether it is a transgression against religious or secular law. CO2 in the atmosphere from any source, including human, is not causing global warming or climate change. More important, it’s essential to life on the planet and an increase in atmospheric levels is beneficial to their distribution, abundance, and productivity. There is pathetic irony because financial gain, if not necessarily the underlying motive, is certainly the reward of the modern day pardoners. Financial gain is one of the unforgivable sins of the ‘evil energy companies’ producing planet destroying CO2. Undoubtedly, Al Gore is the most effective pardoner of carbon credits. An Oscar and a share of the Nobel Peace Prize testify to his effectiveness. 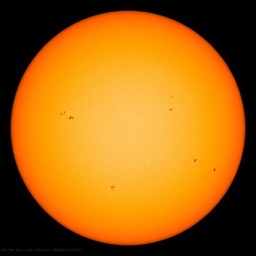 The movie, “An Inconvenient Truth” is full of “thick and fast” examples. Gore’s television appearances are a litany of stories from the past designed to capture through fear and to stick in the mind so they can be repeated, especially by the media. Gore was involved early in the establishment of carbon credits, a key part of the Kyoto Accord. The Kyoto Accord effectively failed but carbon credits, its most bizarre initiative, has survived and grown. Originators benefit at the expense of poor people everywhere. And guess who is on the board of CCX. Maurice Strong, founder of the United Nations Environment Program (UNEP) and the Intergovernmental Panel on Climate Change and a friend of Al Gore. Chaucer’s Pardoner personally benefited from selling indulgences. People who bought them absolved their consciences and had the peace of mind about going to heaven. Nobody else really suffered. True, because they couldn’t afford Indulgences they had to live less sinful lives to ensure going to heaven, but I am sure the Pardoner would argue, with sanctimony, that was good for them. It’s an argument I’ve heard many times. Even if Gore was not truthful and benefitted from his actions, collateral effects of saving the environment made it acceptable. This illogical thinking is similar to the 1998 quote in the Calgary Herald by Christine Stewart, then Canada’s Minister of the Environment that, “No matter if the science is all phony, there are collateral environmental benefits… Climate change provides the greatest chance to bring about justice and equality in the world.” It’s another form of the Precautionary Principle enshrined in Strong’s UNEP Agenda 21, Proposition 15. Each of Chaucer’s Pilgrims had to entertain fellow travelers with a tale. As Johnson wrote the Pardoner was, “taught to use the figure of Death to scare his hearers.” It’s a device Al Gore uses as with his most recent threat that we have 10 years left. He also refuses to debate and interviews are carefully controlled. The Pardoners method is very similar as he explains. The Pardoner’ story has three drunken rioters set out to find and slay Death. In a wonderful dramatic twist Chaucer’s rioters stumble upon an old man who cherishes Death to escape the weariness of a long life. In other words, his desired outcome is exactly opposite to their objective. What is Al Gore’s story? Well here is what he told Congress in March 2007 in a presentation that broke the rule of having to be submitted in advance. “The science is settled, Gore told the lawmakers. Carbon-dioxide emissions — from cars, power plants, buildings and other sources — are heating the Earth’s atmosphere. He then left before answering questions. 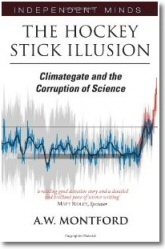 He increased the threat in 2008 using James Hansen’s claim of a “tipping point” in 10 years. He said the US has only 10 years to become carbon independent. This implies that once reached there is no avoiding disaster. Gore’s objective is to eliminate human production of CO2 to save people, especially those in developing nations, from dying in severe weather, drowning in rising sea levels or starving because of high temperatures and drought. Ironically, developing nations were excluded from the Kyoto Accord so they could develop and offset starvation and political chaos. Now its reversed. Two of them, India and China surpass the sinful developed nations in rate of CO2 production, while developed nation production decreases. Death and increased potential for death have already occurred because of policies implemented to reduce the evil CO2. At the same time higher energy costs have lowered living standards throughout the world. that I will live in poverty, from choice? That’s not the counsel of my inner voice! a livelihood. I do not preach in vain. How could any biologist, even a government one, imagine that humans existed a billion years ago, let alone ceased being part of nature then? Selling indulgences, of course, was a major source of income for the medieval church. Those who suppose that such practices belong to past ages are in for a nasty surprise. The new religion is CAGW, and if a new system of indulgences can be put past a gullible public, it will be here to stay. Really, issues such as those raised here by Dr Tim Ball need more airing. There is a concert of big money and big movers behind this house of cards which otherwise would collapse under its own weight. It is other people’s money and the hope of cashing in big-time that sustains this dubious science. The funny thing about the pardoner’s tale was that he openly admitted during his tale what a total scam the whole indulgences issue was and his lifestyle (“and a merry wench in every towne”), but none the less, at the end of his tale, he gives the same hard sell of his indulgences as usual. The AGW analogy is spot on. I had found the same connection some time ago as I’m aware of Martin Luther (1483 – 1546) who was protesting the sale of indulgences in 1517 by writing to his bishop (Albert of Mainz) incl. the 95 theses. Carbon tax/credits is nothing else than the sale of indulgences!!! What a great paper ! The hypocrites always took advantage from the more generous ideas whose fate is to eventually enslave men, it’s the great strength of modern democracy to be based on a pessimistic vision of mankind. Great article that hits at the core of deceitful collaboration to furtherance a control state over the global sheep. Over the cliff they shall go, only to awaken on impact. Great article. Now I know where Lewandowsky got his ludicrous idea about connecting AGW scepticism to moon landing denial. Might have guessed he was just slavishly following Gore. An excellent essay …so there’s nothing new in rogues gallery …huh! Just FYI, the position of “knight” does still exist. *Sir* Muir Russell of laughable “independent” climategate inquiry infamy has been knighted, for example. Exceptional and well researched. Chaucer would be proud. Gore began his college education at divinity school. Perhaps he did learn something there. Al Gore has his equivalents in the UK: Environmentalists who believe that their religion will build a ‘New Jerusalem’ in England’s Green and Pleasant Land. Bizarrely, they appear to think they can do this with white satanic wind-mills, as opposed to the “Dark Satanic Mills” that William Blake wrote about in his famous poem. This is an interesting and cogent discussion, thank you. I find the analysis compelling, probably because I believe it is more or less correct and have written a number of essays making analogous points in my own blog essays. The one thing I find short is any recognition of the place and role that needs be granted to the ancient Greek philosophers who found or underpin most modern thought. It was them who first addressed almost all the same philosophical questions we are struggling with today. The one point not addressed, probably because it was not germane to the historical/literary discussion but critical to today, is societies necessity to achieve something that approaches Aristotle’s Golden Mean. Today the society is far to polarized for any truly meaningful and thoughtful discussion to take place. Today it is or is believed to be he who shouts the loudest or honors the appropriate god, be it Gaia or Market. Today far to many have become theocratic. Theocracy is inconsistent with both democratic principals and free open thoughtful discussion. An interesting read – but to be fair, there is no more apt word to describe Gore than the one I am thinking of right now! I am 100% sure that most skeptics will have a similar word in their vocabulary – and probably voice it as often as I do at the mere mention of his name! To be absolutely honest, I would tell him straight to his face if I ever had the misfortune to come across the weasel miscreant (and any of his sycophantic entourage) in person! Yeah, and Al buys carbon indulgences from himself (when he bothers to make a show of being green) so that net, he’s nothing out of pocket. Nice article. IMO it paints an accurate picture of Al, The Pardoner. Being a long time Congregationalist, I have a great knowledge of the history of “the church”, i.e., the modern “Christian Church”, including all aspects..Roman Catholic, Greek Orthodox, Russian, Coptic, Reform Tradition, etc. One of my best friends is a left leaning, libertarian, Agnostic. BOTH he and I are absolutely AMAZED at the trappings of the most extreme aspects of “real religion” that are embodied by the AWG Crowd. Can I quickly throw in here, that “the church” needs to be studied SPECIFICALLY and in it’s totality, before making the AWG mistake of condemning the whole history, on the basis of really ISOLATED events? I do a slight test all the time, asking how many martyrs were “burned at the stake” by the Anglican church, during it’s history. People are shocked when I note that it was 3, and the motivations were as much POLITICAL as “religious”. 2. Defiant sinners, in need of persecution, judgement and punishment. I myself, look forward to the “Hundred’s Year War” on this..
Ok. So that explains why she doesn’t know anything about the economy. Of course, making an economy more inefficient does never reap COLLATERAL environmental benefits. It might well cause collateral damage, but having a moster state trample its way through the economy and hoping this will cause all kinds of unintended positive consequences is magical thinking. Or maybe destroying the economy is what she defines as the collateral environmental benefit, but even that would be an outlandish claim. Assuming people would survive they would continue to need food and energy and be forced to get them in far more inefficient ways. Maybe then, the unintended collateral environmental benefit she thinks of is mass starvation. “having a moster state” – “monster state”, sorry. 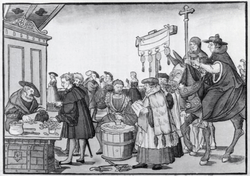 The selling of Papal Indulgences led to the Protestant Reformation . Who shall become our Martin Luther ? This is a really brilliant analogy. The sustainability/climate change efforts by the NSF to create a “sustainable planet” have entered a new cultural phase, and this includes the use of the soft sciences and the arts to spread the message: humanity is an impurity in the hydrologic cycle, and further that people are not only too numerous, but they have “too much stuff” and “too much convenience.” It is not sustainable. The Chaucer character selling indulgences, like the sustainable/climate science selling co2 offsets and water control, does after all, important cultural and charitable work to free (other) people from their Western materialism and culture of greed! And like the Chaucer character, the sustainablility/climate scientists promise a planet that appears to be a heaven where the ills of modern life are eradicated. I can hardly wait to see the YouTube video of Sir Muir Russell girding his loins and mounting his charger for the battle ahead. The week after Gore’s film won an Academy Award, the Tennessee Center for Policy Research announced that his Nashville home used 20 times the US average household electricity. Then a few years later, realising that Earth was heading for a climate catastrophe he purchased a seaview villa with 6 fireplaces and 9 bathrooms. This is the kind of example one needs to set to others so they follow your lead I suppose. On the QI show with Stephen fry, he mentions a company in Australia named Northwest carbon, which you pay them to shoot a camel, to offset your carbon footprint. EXACTLY. Centrally planned by the same Holy Roman Empire maggots. Save your soul, save the planet. Mandatory, for idiots (I are one of them idiots). Works wonders for positive trade balances, and competitive disadvantages for the enemy. The enemy is anyone with resources. Repent! For every two wind generators, a 10% discount on other overpriced trinkets. Side benefits accrue to Enel, EDF, Iberdrola, and the likes. Buying indulgences and “going green” both fail on the erroneous assumption that entry into Heaven can be bought. Christian theology teaches that heaven is a gift to those who trust in the Divine and seek to become more like It. The CAGW theology has no such Grace, only demands for sacrifice and coercion. I’m sold, so now we brand the climate alarm soothsayers as witches and freeze them to the stocks? If they are pure worshippers of mother earth, they won’t freeze at 20 below. Of course I just made that up but scapegoating is human nature and the promises of doom and the public hysteria arising from them have cost us too much. Now the cool 1/2 of the cycle looks all too likely and their own measurements show CO2 up =Temps flatlined/falling, whats a good alarmist to do? If this had been a scientific argument it would have been over years ago. Climate-gate really rubbed in the fact, science is not whats at play, the “Cause” trumps all facts. The damage done to the worlds poor by this scam, is un-pardonable. The pardoners are going to need more than control of the media, govt agencies and the UN to protect their thefts. A shiny distraction, how about a war against Israel? But the west is broke, who is going to finance all sides this time. Note I am not picking on Israel, they are the traditional scapegoat. Its always blame the Jews, when the masses need diverted. Q. If an animal builds a dam for its own benefit is that natural? A. If the animal is a beaver then it is natural, if the animal is a human then it is not natural. Q. If an animal digs a watering hole its own benefit is that natural? A. If the animal is an elephant then it is natural, if the animal is a human then it is not natural. Q. If an animal kills another creature to feed itself and its group is that natural? A. If the animal is a lion then it is natural, if the animal is a human then it is not natural. Q. If an animal builds a trap in the wild to capture and kill another creature is that natural? A. If the animal is a trap door spider then it is natural, if the animal is a human then it is not natural. Q. If an animal uses an electric shock to subdue an opponent is that natural? A. If the animal is an electric eel then it is natural, if the animal is a human then it is not natural. Q. If an animal uses poison to kill an opponent is that natural? A. If the animal is a poison dart frog then it is natural, if the animal is a human then it is not natural. Q. If an animal uses biological cultures to kill an opponent is that natural? A. If the animal is Komodo dragon then it is natural, if the animal is a human then it is not natural. Q. If an animal hordes food collecting more than it needs right now, guards it and uses it only for its own family is that natural? A. If the animal is squirrel then it is natural, if the animal is a human then it is not natural. Almost all of the things we do are done by other animals. The difference is that we can do all of these things, not just one or two of them (like the other animals). We are not special, just more adept than any other living thing at improving our position by using the resources that are available on this plant. It is what we do, we do it very well. Q. What do you get if you cross the abilities of a beaver, elephant, lion, trap door spider, electric eel, poison dart frog, Komodo dragon and a squirrel? A. An animal that can compete, really well. Dr. Tim Ball has been relentless in his efforts to present the truth about the fallacy of anthopogenic CO2 having an adverse effect on the Earth’s environment, beginning with his contribution to the film, The Great Global Warming Swindle. Politicians recognize taxing Carbon, the basis for life on Earth, as a never ending source for wealth confiscation and redistribution and as a mechanism for population control. Maurice Strong, founder of the United Nations Environment Program (UNEP) and the Intergovernmental Panel on Climate Change and the Father of Agenda 21 and petroleum billionaire living in China where he is an active honorary professor at Peking University – all-around good guy. I appreciate the carbon credits/indulgences analogy. A little crass but serves to make a point. The analogy I use is that of sacrificing goats / sheep / first born to ingratiate oneself with one’s myhtical deity of choice. It doesnt work and is a waste of goats / sheep / offspring. But REALLY- how the blazes did the rest of this facile bovine excrement get posted on this allegedly science led forum? Humans turned to the darkside a billion years ago? Clearly it didnt since 60% of Americans still believe the world is only 6000 years old. All 1 billion Moslems are by definition Creationists since they dont have any truck with the evidence of geology or the works of Charles Darwin. Rationality still has a long hard road to travel. I read WUWT to get away from the idiocy of religious thought, whether RC, Anglican Islam or AGW. Brilliant! And right next to a post by Lord Monckton. Best literary weekend in a long time. Learn from what was done to these poor peasants who did not have the wherewithal or means to refute the doctrines and proofs of the priests; or to recognize that the priests used consensus and the knowledge they had to terrify people and take economic and political control. So it’s settled then. Henceforth he shall always be referred to as “Al Gore the Pardoner”. “I appreciate the carbon credits/indulgences analogy. A little crass but serves to make a point. So, you don’t pay taxes of any sort sacrificing any of your personal wealth? Your comments come off as hypocritical; especially including your closing, since you religiously repeat something you find necessary or believe needs to be done. Some are transparently with pure intent to be constantly and religiously annoying. Excellent article. Having studied medieval history in college I too noticed some time ago the parallels between the Medieval mind with regards to religion and the modern mind with regards to nature. As you stated, just replace God with Gaia. …One of my best friends is a left leaning, libertarian, Agnostic. BOTH he and I are absolutely AMAZED at the trappings of the most extreme aspects of “real religion” that are embodied by the AWG Crowd….. I am not. If you research Al Gore’s buddy Maurice Strong, you find Strong OWNS the BACA Ranch/Crestone Institute. The Crestone Institute is the method used to implement that idea. Hanne and Maurice Strong acquired the big track of land knows as the Baca Ranch in 1978. Guided by the vision of Native American elders that his land had a great purpose, and her own desire to establish a sustainable, interfaith retreat community in North America, Hanne began to implement a new kind of development. She consolidated tracks of land and gave them to traditional religious and educational/intellectual organizations. By 1988, the following centers had been established: the Spiritual Life Institute (Carmelite monastery), the Crestone Mountain Zen Center, The Haidakhandi Universal Ashram, the Sri Aurobindo Learning Center, the Aspen Institute ( which was later acquired by Colorado College), and the San Luis Valley Tibetan Project. In 1988, Hanne and Maurice founded the Manitou Foundation, a non-profit charitable organization, to provide land and financial support to qualified spiritual organizations, earth stewardship programs, and related educational opportunities for youth and adults. To date, the Foundation has granted land to the Baca Center for High Altitude Sustainable Agriculture; EDUCO, a youth leadership and Earth Restoration Corps training center; Mangal Shri Bhuti (Nyingma Tibetan Buddhist lineage); SUBUD (which utilizes environmental and sustainable technologies for building and agriculture); Naropa Institute; and Yeshe Khorlo, a Bhutanese Tibetan retreat center. Applications for land grants from a Shinto organization, a Gelugpa Tibetan monastery, Zorastrian, Kriya Yoga, and a Native American group were under consideration as of 2000. The Crestone/Baca community of centers of the world’s religious traditions is currently the largest intentional interfaith ecumenical community in North America…. Looks like they have all bases covered in the indulgence selling business. By coincidence, I happen to be reading a history of the French Reformation. Complaints about illicit income and sinful living among the clergy were echoed by members of the french royal family, so the pope made a deal with the king. The king would not only receive much of the income, but also have the power to appoint all the church officials who were in line to receive income (who would pay bribes for the privelege). Once he was in on the deal, the king began to take a very hard line against the Protestants, even changing French law so that the church had the power to try, convict, and execute anyone it accused of “heresy”. Those who are in on such deals have a vested interest in maintaining them. Why is it that all these former oil men who got rich off of big oil suddenly go anti-carbon? It is their right but I think they should give the money they made on killer oil to charity. Two men come to mind – Al Gore (Occidental Petroleum) and the founder of the IPCC Mr. Maurice Strong (Petro-Canada). Clearly it didnt since 60% of Americans still believe the world is only 6000 years old. Obviously, the “billion years ago” was rhetorical. And actually, only some 40% of Americans still believe in Creationism, which posits that God created man some 10,000 years ago. So, 60% vs 40%, and 6,000 years vs 10,000 years. Close enough, I guess, when you’re on a rant. ….I do a slight test all the time, asking how many martyrs were “burned at the stake” by the Anglican church, during it’s history. People are shocked when I note that it was 3, and the motivations were as much POLITICAL as “religious”. The Salem witch trials occurred in colonial Massachusetts between 1692 and 1693. More than 200 people were accused of practicing witchcraft—the Devil’s magic—and 20 were executed….
. A “witchcraft craze” rippled through Europe from the 1300s to the end of the 1600s. Tens of thousands of supposed witches—mostly women—were executed. Though the Salem trials came on just as the European craze was winding down, local circumstances explain their onset. However you are probably correct about the burning of witches. Many other methods were used like drowning, hanging and crushing with heavy stones, also several people died in jail. It was not a nice period of history. A similar craze happened here in the USA quite recently, with the 1984 Fells Acres Nightmare ( more links listed) and The “Little Rascals” ritual abuse case. The government got exactly what it wanted out of the craze, nation wide regulation of the day-care business. publicize the crisis and scare the day lights out of the sheeple. put in the regulations to “correct” the crisis. I have seen this manipulation of the public again and again. Always there is an increase in regulations and a decrease in people’s freedom to choose employment by a corporation or small business self-employment. I don’t know. I think the story(parable) of Adam and Eve is about the transition from animal (no right or wrong, i.e. sin) to that of being human where there is apparently cross cultural perhaps innate right and wrong; and especially about how this transition is irreversible. It’s that we “ate the forbidden fruit” (How better to make sure someone partakes than to make it forbidden?) or “drank the kool aid” if you prefer and gained the knowledge of right from wrong over several thousands of years at least to a level no other creature does that sets us apart. I suggest that it’s not just the prospect of “going to hell” that prevents me from murdering my neighbor or [something too awful to post]. I suggest that over thousands of years of trait selection we’ve evolved into something more than animal at least more powerful than any (other) animal and therefore we have more responsibility as well. There is no mention of Chaucer or of Al Gore in your link, for starters. Nor of the fact that this new sustainability inquisition is leading to higher energy costs and lowering the living standards of people all over the world. Nor does your link point out that the production of co2 is essential to life on the planet, or that its production is the result of abundance and productivity. It is good living standards, abundance, and convenience that is the “sin” here. Dr. Ball presents a fascinating analogy. I would suggest one more extension. Commenters above have referred to Martin Luther’s 95 theses, which objected, among other things, to the sale of indulgences. Luther’s theses were in fact an invitation to debate, either personally or in writing, on the stated subjects. I am not aware of whether the public debate ever took place–would be interested in what any historians here have to say. I rather suspect that the recipients of Luther’s challenge declined the opportunity. Just as Senator Gore does today. ….But REALLY- how the blazes did the rest of this facile bovine excrement get posted on this allegedly science led forum?…. Because religion, in all its varied forms has been used to scare the crap out of the peasants and cow them into behaving and giving up their wealth for thousands of years. CAGW is just the newest version of a very old control method. Therefore if we are not to repeat history we need to learn from it. It sure sounds like a return to feudalism to me. I disagree. The seeds were planted in the Monistic ideas of Haeckel and other proto-fascists of the 19th century. The view of nature that leads to such ridiculous quotes as the one by David Graber also has it’s root in 19th century romanticism. These ideas have nothing to do with Darwin or science but rather the ‘dictatorship’ of nature. Why is it that all these former oil men who got rich off of big oil suddenly go anti-carbon? Anti-Carbon policies are a win-win for oil. By demonizing coal via the EPA, the oil industry can further raise the price of oil without losing market share. If you think oil prices are high now, think of how high they will be once coal is eliminated as an energy source. Maurice Strong worked for the Rockefellers in Saudi Arabia in the 1950’s. He is “their man” and also a trustee of one of the Rockefeller Foundations. Originally the Rockefeller had close to a monopoly in the American oil business (90%). Standard Oil was one of the world’s first and largest multinational corporations until it was broken up by the United States Supreme Court in 1911. The Standard Oil Trust was controlled by a small group of families, the Pratt family, the Payne-Whitney family , the Harkness-Flagler family and the Rockefeller family. They reinvested most of the dividends in other industries gas, the electric lighting business,US Steel, Amalgamated Copper, and even Corn Products Refining Company. One of the “baby” standard oils, Chevron struck oil in 1932 in Bahrain and was soon operating in Saudi Arabia. Then Chevron and Texas Co. created Aramco in 1939, to pump Saudi oil. In 1950, King Abdul Aziz Ibn Saud threatened to nationalize his country’s oil facilities, thus pressuring Aramco to agree to share profits 50/50. A similar process had taken place with American oil companies in Venezuela a few years earlier. In 1973, following US support for Israel , the Saudi Arabian government acquired a 25% stake in Aramco. It increased its to 60% by 1974, and took full control of Aramco by 1980. Saudi Aramco is a fully owned, privately held company and currently the world’s largest company. Of course the main goal is a global government. Turning the screws on competitors is just an added spice. Even the Pardoner suffered from sceptics. From memory I think it went something like, “You would have me kiss your old breeks and swear they were the relic of a saint!” Keep up the good work sceptics. I think I pointed this out earlier. We had the Medieval Warm Period, then we started burning witches, then it got cooler. Some of the years without summers were near witch-hunts. But with the 1960’s wicca came back and we don’t burn them anymore, so see, Greenland is becoming, well, green again. And no one on either side brings up the carbon footprint of our military. One fighter probably burns in a week more fossil fuels than I will burn during the span of my life. Tanks and APCs generally don’t have MIL lights or catalytic converters. Maybe we should have CAFE requirements. All while methane replaces coal with big oil behind the scenes lobbying via greener groups. Big money games. The analogy between the intolerant mediaeval church and the intolerant modern-day Warmists is even closer — both favour a Diet of Worms. While the alarmists chase their Koch and Exxon bogeymen. 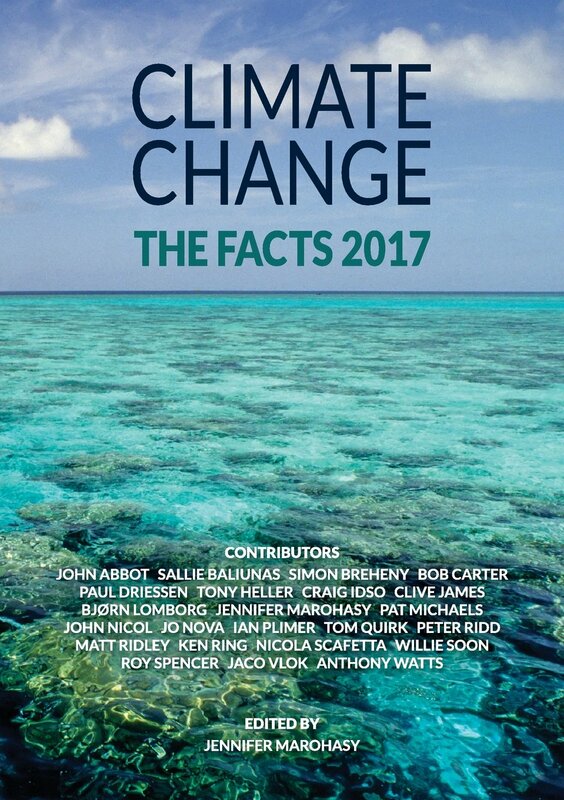 They do not seem to realise that the hypocrisy of the high priests of global warming causes far more people to doubt than any invisible PR campaign. But I have to take issue with one statement. Environmentalism became the new religion in the 1960s, although the seeds were effectively planted when Darwinism replaced Creationism. Planets do not reproduce. They do not compete with each other for resources. They are not subject to the forces of evolution. Any conditions which pertain on Earth, even homeostatic ones, are the result of happenstance. Any belief to the contrary is a religious one, not scientific. It is true, however, that many prominent evolutionists were also eugenicists. And there is a direct line of descent from them to population bombers like Paul Ehrlich and John Holdren, who have contributed much to the current hysteria. But Darwinism was not the mother of Gaiaism. The pardoner himself in his own tale admitted to faking relics, for instance picking up some old wood from a ditch and presenting it as a relic of the cross. Indeed it is estimated by historians that if all the relics of the cross from that period were assembled, you could have made a wooden Eiffel Tower out of them. Armagh Observatory says.Clearly it didnt since 60% of Americans still believe the world is only 6000 years old. Facts not straight: There probably hasn’t been 60% of Americans who believed in creationism since the salem witch trials. highflight56433 says to you:Your comments come off as hypocritical; especially including your closing, since you religiously repeat something you find necessary or believe needs to be done. Some are transparently with pure intent to be constantly and religiously annoying. First you say you appreciate the anology then you misquote a statistic, then you say you read WUWT to get away from what you just said you appreciated? Russle, as an author I take plagiarism very seriously. I read both articles and you are overreacting. You can’t plagiarise an idea or a title–Just becasue Tim talks about inculegences and uses the analogy for the carbon tax with Al Gore, it isn’t the same story as the satiracal little piece about “the world’s first entirely carbon neutral sovereign state” and the vatican. Crap, I hope people don’t accuse me of plagerism everytime I use a word or two that appears in something else in the same venue as I am writing in. Oh wait–this comment is plagerism, isn’t it? The Millers Tale is still the funniest. Carbon taxes would be funny but for the damage they will do. A billion years ago???? Isn’t that right about the time that life was crawling out of the seas? For crying out loud, the end of the dinosaurs was only 65 million years ago. Are these guys scientifically illiterate on EVERY subject? You keep using that word, yet obviously you don’t know what it means. Standard Oil’s so called monopoly was already being broken up by market preassures long before govt got into the act. SO gained market share by developing a new process for refining oil that was a vast improvement over the old process. This allowed them to reduce the price of their product. As a result, SO’s competitors did one of two things. 1) Went to the research labs to improve their own processes. 2)Went to Washington and invested in politicians. Absurd. ~6% would be near the reality. Religious “nuts” in the US are grossly/purposely over-represented by all MSM, but especially by the European media. You’ve been duped…. I would wager the real number is closer to 0.6%. I have never met anyone that actually believes in the young earth point of view and I have known a great many people who nominally believe in a god who created earth. Very religious people who also were/are dedicated scientists, teachers and engineers who simultaneously accept the ideas of heredity and evolution. It is by the way worth while to note that the person who invented modern theories of genetics and heredity was a religious Augustinian friar who found no conflict between the story of creation and his discoveries about how genetic traits are passed from one generation to the next. The vast majority of the religious believers see the creation stories of the Bible as an allegory. If such a creation happened it would be just as miraculous if it took 700 million years as if it took 7 days, and that is as far as they go with examining the detail of the story. It is simply a story to express a concept of creation written in a time when none of the population including the writers had any clue regarding scientific time lines of human origin or evolution. This creates a false choice on the third item. If the respondent strongly believes that God created humans in their current form but it was 2.5 million years ago, the third answer is still the closest fit to his beliefs of the three choices offered. Add to that the fact that most non-technical people just see that 10,000 years as “a long time ago” and don’t think much about anthropology or Lucy, or Australopithecus Africanus or about minor details like when humanity first used tools or fire or moved out of Africa or that Neanderthal cave paintings date back to 48,000 odd years ago. The absolute value of that number is “not important” compared to the first part of the statement about God creating humans in their current form. This is why I really dislike multiple choice tests/surveys as they can very easily be steered to give false results that misrepresent the true feelings of the survey/test takers if only a limited number of questions are asked. Especially if the questions include compound questions that really represent 2 independent variables. Penn and Teller made a similar observation in an episode of their BullS**t show on global warming a few years ago. They actually had someone walking around collecting money from people driving SUV’s, and some even wanted to make regular donations to ease their consciences. Very good analogy, except that Gore is way beyond a mere pardoner. Gore wouldn’t waste his shoe leather doing things the way Chaucer’s pardoner did them. If Gore was alive in the 15th century, he would first set about persuading the king that his subjects were in real danger of catastrophic damnation. He would know this to be true by the scriblings of the leading theologians of the day. The “theology is settled” he would declare, the soul of mankind has a fever (of sin) and only a complete change of lifestyle can obtain salvation. Fortunately, he has the means to assure salvation if only the king would proclaim by royal decree that all subjects shall hitherto pay unto Gore the Wise, a fixed sum in return for pardon of past sins. Henceforth, the loyal disciples of Gore the Wise fan out across the land, reaching every village, every hamlet, every dwelling, collecting from each the dues owed to Gore the Wise, in exchange for the pardons that will expunge their sins. Gore the Wise, henceforth builds for himself a castle of grand design, and spends the rest of his days covorting with his concubines and feasting with the greatest lords of the day. Larry, you’re prb’ly right. Even I habitually underestimate how much the MSM has twisted reality. Like they do with Hitler being “right-wing” (and thus associated w/American conservatism), and not actually just another European variant of left-wing socialism/fascism. Someone above complaining of “plagiarism”. The plots of Chaucer’s tales were much older then he. It was his genius to convert age old stories into exquisite verse in gripping style that would be read, and reread, by following generations for hundreds of years. Well done Dr. Ball for bringing us this excellently written article. As always – “Follow the money”! As a side note, and I point out that some of us have been ‘environmentalists’ since the 1960s, in the sense that we care passionately about the environment and contrive not to consume unnecessary energy, to recycle where possible, and so forth. We’ve always lived this way: it’s the intelligent thing to do. Our ‘carbon footprint’ is small in old age, and always has been small. Most of us didn’t have cars until well into adulthood, and we don’t jet around the world as if we’re taking a bus. Yes and Luther didn’t present the invitation to cause division but rather clarification. He’d gone back to The Book itself and saw that there was no place in it for such practices. Just as those who have looked at the data itself see there is no place for CAGW and what has been promoted in its name. CCX is, AFAIK, dead and gone, lo this past year or so, it’s indulgences having fallen to the floor of 5¢/ton, with zero volume. The Gorer had presciently sold his (free) shares for $600 million. The EU exchange was scammed for hundreds of billions, and now limps along on toxic prices about a quarter of the minimum they estimate will non have a paradoxical effect. Carbon Credits do not “live on”. They are dying agonizing deaths by starvation, malnutrition, and poisonous self-administered medicines. As a side note, and I point out that some of us have been ‘environmentalists’ since the 1960s, in the sense that we care passionately about the environment and contrive not to consume unnecessary energy, to recycle where possible. The only recycling that pays for itself is metals. Many municipalities surreptitiously feed the paper and plastic into either the general landfill of incineration streams, thereby avoiding significant costs and losses.